Some of my dedicated readers (thank you mom! <3 ) know by know that after our family moved to the Denver area in Colorado, I began reaching out and booking as many jobs second shooting weddings with fellow wedding photographer creatives in order to meet some of these lovely ladies, networking and meeting people within the wedding vendor community, and of course making some money while I established my business in the Denver area. I had the extreme pleasure of working will McCall Burau of Lucky Malone Photography when she asked me to shoot the following wedding with her in Breckenridge at Tenmile Station. I’m sure this is old news to long term locals, but oh my gosh you guys. That place is BEAUTIFUL. The lodge is exactly like you see in the movies for ski resorts, the views are unique, yet equally beautiful to all of the best Rocky Mountain views. If you’ve never been, it must be a bucket list place for all. It becomes extremely easy to see why people can fall so head over heels in love with this place I now get to call home. Ok, so moving on- coming from another state where rustic, country weddings are the top and major trend- I was in total shock (good shock!) at the magnificence of this wedding. It was like where rustic wedding dreams find classy white table cloths and star studded skies. Just wait until you see the photos. Like I’ve said a million times before- I’m a photographer rather than a writer because I’m so much better at telling a story with pictures. If you follow me on social media (if you don’t you should! instagram.com/monica_evans_photography) you have seen the incredible sneak peek to this gallery already. Truth be told that image wasn’t even my favorite when I first loaded those images into my computer. It was one that had gotten lost into the sea of photos that had been taken through the day- and yesterday when I was doing a double check through the edited images I wanted to share, I saw that one and could have kicked myself for missing it the first time. The image could be a poster for definition of love (not to toot my own horn, but….) it was just one of those moments when it all fell together perfectly. The look in her eyes, the smiles covering both of their faces… it is perfect- at least to me. I’ve included it in here today too- think you can guess which one it is? Feel free to comment if you think you know! Can we discuss the AMAZINGNESS that is that invitation suite?! You guys, the ribbon was made of custom dried and pressed flowers….. absolutely jawdropping. Also, in case it isn’t completely obvious, I’m obsessed with that engagement ring. It is stunning brilliance and simplicity. Job well done Matt! This dress is gown goals! I’m totally pinning this one under my gowns pinterest board! Their first look was slightly past the trailhead near the resort, it was a precious moment. They were both so extremely happy to see each other. Like all the weight of planning, stress of trying to make everything perfect, all the details just faded away and they were so relieved to just be with each other and get ready to get married. Those VIEWS! You guys! Look at THOSE VIEWS! Gosh I just want to go back and sit in awe of them again. Look how sweetly she is looking up to her big brother as he marries them! I totally teared up for this one! Also while were here I should mention those impeccable boots! Luchese custom made boots for every guy! They were stunning! And as Colorado always does- the Sunset showed up and showed out. I swear it never ever disappoints me. I could go on and on of the amazing perfection that was this wedding- but as if nothing else could go any better- a small storm blew through and brought a massive vibrant rainbow with it! Lucky ducks! That has to be every kind of good luck charm! Yes!!! That dress was incredible!!! Thank you, the wedding was so fun and laid back! What a STUNNING wedding! Your detail photographs are some of my new favorites. I love how you balance color with light and candid moments with beautifully posed images. Well done! Aww thank you that’s so sweet! Wow! These photos make me want to get married all over again! And do it here! Beautiful!!! I know!!!! Man if I did it all over again it would be just like this! I love this SO MUCH! This wedding should be in print- the amazing details, the color tones of your images- it’s all perfection! Aww thank you so much! That means so much to me! I’m absolutely loving getting to photograph such gorgeous weddings out here in the beautiful mountains! Her dress, that rainbow, the venue, your images…it’s what wedding dreams are made of!! Yes I totally agree! And thank you! Wow. This is drop dead gorgeous! What a beautiful Breckenridge Wedding. I’m totally blown away by your talent! Lovely photos! Stunning bride. Nice work lady! Thanks so much!! That’s so kind! Thank you!!! And no I can’t either. Some of the most incredible views there! Wow!! I love all the details, decor, location and her dress! Simply stunning! WOW! These are beautiful! I absolutely love the detail shots, the shot with the rainbow and all of the evening dancing photos. Great job! I love this rustic glam Breckenridge wedding!!! I am currently researching a wedding photographer and can’t wait to get in touch with you! I love this Breckenridge wedding!!! Everything about it is gorgeous!! This looks like a Breckenridge wedding photographer’s dream! What a beautiful couple and a magical event! I’ve never been to Breckenridge but I totally want to so that you could be my wedding photographer!! This Breckenridge wedding looks amazing!! you are such a talented photographer!! These are gorgeous!! I love the details! You do beautiful work. 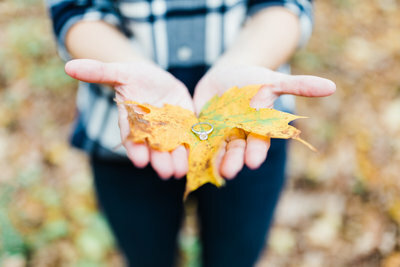 Those looking for an Estes wedding photographer would be lucky to have you! !